8 Unit building off of Klondike Rd next to Klondike Middle & Elementary Schools. 2 BR 1 Bath Lowers, 2 BR 2 Bath Uppers. The uppers have vaulted ceiling with a skylight!! The lowers have a spacious laundry room and patio. Very Spacious floors plans with 959 sq ft. Short drive to Purdue University and located on the bus line! Great deal for the space and the amenities. These buildings on Horizon Dr are owned and managed by different management companies. 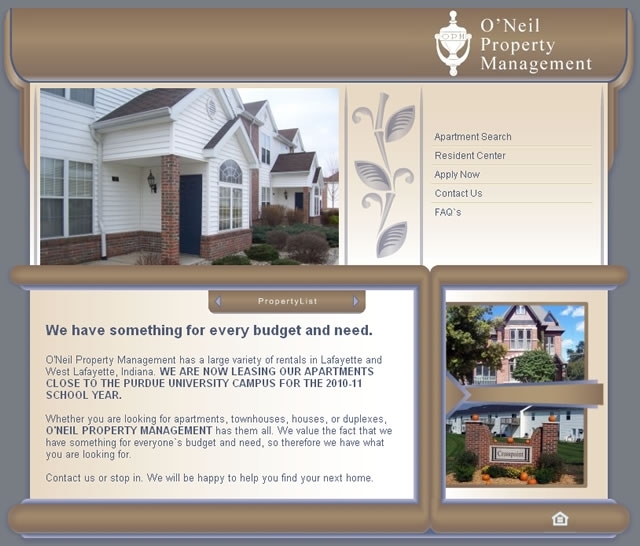 O'Neil Property Management takes great pride in our properties and our residents!! !